Chad manages client engagements in both accounting and tax for small businesses, individuals, estates and trusts. He has leveraged his experience with business owners’ and executives’ tax and estate planning to offer financial services . In addition to his client responsibilities, Chad manages the firm’s day to day operations and is responsible for keeping the firm on the cutting edge of technology. Under his leadership the firm has developed a paperless workflow solution and implemented secure client portals, keeping Fenstermacher & Company, LLP well ahead of its peers in technology and client service. Chad has more than twenty years of professional experience. He began his career with a large local firm in Wilmington, Delaware where he was a manager of assurance services responsible for various client engagements, including large general and specialty contractors, real estate developers, wholesale distributors, and professional services firms. Chad is an adjunct faculty member at the University of Delaware where he teaches Income Tax Planning to Certificate in Financial Planning candidates. He joined our firm in 2000 and became a partner in 2002. Chad graduated from the University of Delaware with a Bachelors of Science degree in accounting, and earned his Master of Science degree from the highly respected Graduate Tax Program at Villanova University. He is a Personal Financial Specialist, holding the PFS designation awarded by the American Institute of Certified Public Accountants. Member of the American Institute of Certified Public Accountants (AICPA), The Pennsylvania Institute of Certified Public Accountants and the Delaware Society of Certified Public Accountants. Chad is active in the AICPA’s Private Companies Practice Section (PCPS) and participates in semi-annual meetings of small firm practitioners where he shares best practices with partners in CPA firms from across the country. 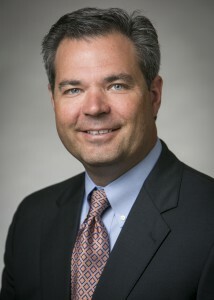 He also serves as a member of the editorial board for Small Firm Solutions, a publication of the AICPA’s PCPS. Currently serving as a board member of Historic Kennett Square, Chad has held many volunteer leadership positions in Pennsylvania and Delaware. Most recently he was a board member with the Southern Chester County Chamber of Commerce where he served as Treasurer, Vice-President, President and Chairman of the Board. Previously he was Board Chair for the Kennett Area YMCA and Vice President of the Wilmington Jaycees. He served as Co-Chair of the Young Executives Committee of the Delaware Contractors Association and on the Membership Committee of the Associated Builders and Contractors of Delaware. He was a board member of La Comunidad Hispana and a member of the Kennett Area YMCA capital campaign committee.